Renerki Kaubanduse OÜ on olmeelektroonika ja kodumasinate hoolduse ja remondiga tegelev ettevõte. Tegutseme aastast 1996 ning oleme tänaseks omandanud paljude tuntud kaubamärkide esindusõigused Eestis. We are official representative for number of well-known brands for warranty service. The largest of these are Samsung, Bosch, LG, Pioneer, Harman Kardon, Hansa, Hitachi, Esco, Nivona, Melitta. Warranty Terms and repaired marks list can be found here. 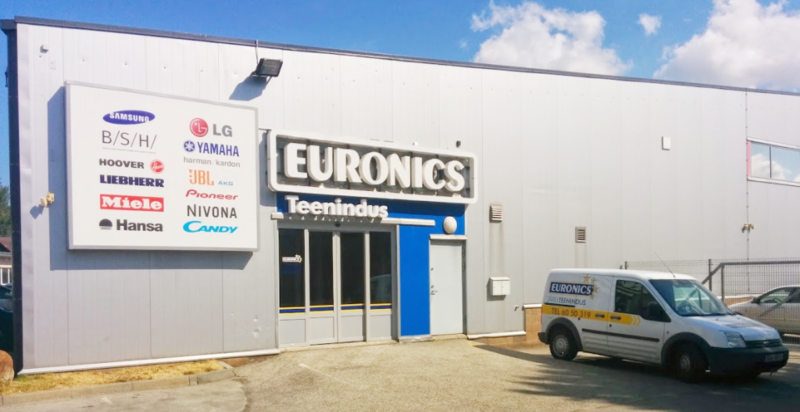 If you have purchased your products with Euronics Warranty Plus, then we are the right place where to turn for help. For extra warranty service You need Warranty Plus document. For more information visit www.euronics.ee. We perform transport to service and back for producs that we repair. We offer renting opportunity for an appliance while waiting for one to be repaired. If you purchase a refrigerator, washing machine, stove, hood, TV, or any other home appliance or audio-video equipment, and You have trouble with installation, then for additional service we can offer professional advice. Prerequisite for the installing service is equipment and connections readiness (ie water, sanitation, communication, cabeling and grid connection points (according to the needs of the device), suitable integrated furniture must be already installed). Services we can offer in Tallinn, Tartu and Pärnu. NB We do not carry out work on gas appliances installation!